Augmented reality is a mash-up of a virtual world and the real world in a digital space. AR apps use your actual location and project virtual objects into that space. The Pokemon Go phenomenon is one of the most mainstream examples of AR apps in use. Users chased digital objects through the streets and parks in their towns in a game that many users said got them off the couch and out of the house. While gaming is the most popular application of augmented reality, it can be used for other things as well, such as a training tool or educational option. Thanks to AR, users can enter a place where they might not otherwise have access. World Brush is a mix between a game and creative outlet. The app allows users to paint virtual graffiti on pretty much anything. Every painting is anonymous and only visible where it was created. Users have the ability to like, dislike and report paintings which helps hide the bad stuff and showcase the good stuff for others. Users can also share drawings and use a variety of brushes, colors, and tool to create anything they can imagine. Augmented reality can have a lot of practical use in ecommerce, helping shoppers avoid buyer’s remorse. The IKEA Catalog app lets users test out furniture in their own space so you can see if that couch and chair will fit in your living room or if the color of a certain table matches the rest of your décor. The app includes 3D and true-to-scale models of everything from sofas and armchairs to footstools and coffee tables. IKEA Place gives you an accurate impression of the furniture’s size, design, and functionality. The app also includes plenty of video clips and 360-degree views of furniture sets to help shoppers make choices. It’s a totally different experience for shopping online, and within an app in particular. Ink Hunter makes AR useful for the general consumer with an app that allows users to “try on” tattoos before committing to something permanent. The app projects any tattoo design on any part of your body so you can see how it will actually look. It works from multiple angles. The app comes with premade tattoos or you can upload your own artwork. Using state of the art GPS technology, an accurate 3D simulation of the visible universe, and a great deal of technical wizardry, Star Chart calculates – in real time – the current location of every star, planet, and moon visible from Earth and shows you precisely where they are; even in broad daylight! The app mixes reality with a hint of time travel as well. You can actually change time perspective and see how the same sky looked up t0 10,000 years ago. What’s cool about the design of Star Chart is that it isn’t overwhelmingly complicated. The AR overlays give users exactly what they need without too many bells and whistles. TapMeasure puts a variety of tools right into your phone. You can measure distances, check how straight objects are and even create floor plans and three-dimensional renderings. For the DIYer, this app can help you visualize and plan in a way that hasn’t been possible in the past. Plus, everything you create in the app can be exported to common software such as CAD for actual use. The top three elements in the app are the 3D room builder, quick measurement tool, and smart level. 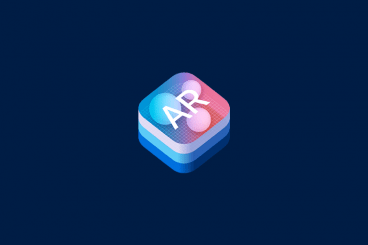 They are sure to help with your home improvement projects… and help you think about ways to build AR experiences with a lot of practical use. The best thing about AR apps is that they allow you to cross the lines between reality and fantasy. Users – and designers – can create imagined worlds that can be a fun diversion from everyday life or create a new tool that can make something (such as interior decorating) that much easier. What about AR most intrigues you? Now is the time to start thinking about how to incorporate some of these kinds of technologies and effects into your projects. Apple doesn’t miss the mark that often, so it’s definitely worth exploring.